Amir Naghshineh-Pour is a financial representative and strategist at WestPac Wealth Partners, where he is involved with households and businesses to develop their optimal and balanced financial plans. After spending nearly, a decade working in the financial and investment industry, Amir knows what truly drives people’s financial decision making. 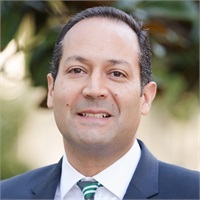 Originally Amir studied aerospace engineering at Virginia Tech and worked for aerospace companies in Southern California before obtaining his MBA in finance and strategic planning from the California State University – Long Beach. His passion for financial analysis and capital markets made him change his career from engineering to financial advisory when he received his MBA in 2007. Prior to joining WestPac Amir worked for a financial market broker-dealer and an investment bank, where he gained a lot of experience in investment management and risk analysis. However, now at WestPac, he deals with the holistic strategy of considering entire financial picture of his clients ranging from protection and investments to cash flow analysis and estate planning. As an Iranian-American, he is very much involved in the Persian community of Southern California. His plan at WestPac is to serve and give back to his community to the best of his ability. Apart from Amir’s professional life, he enjoys playing tennis, swimming, traveling and spending time with his wife and son.